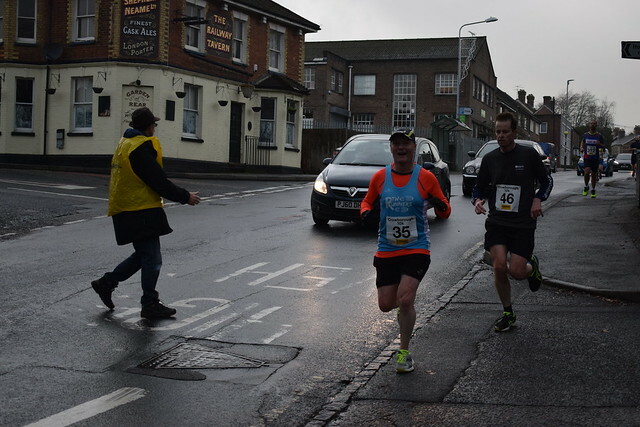 Group leader Joe led a contingent of RTW runners to a local road race in East Sussex this morning on what was a overcast but dry morning. 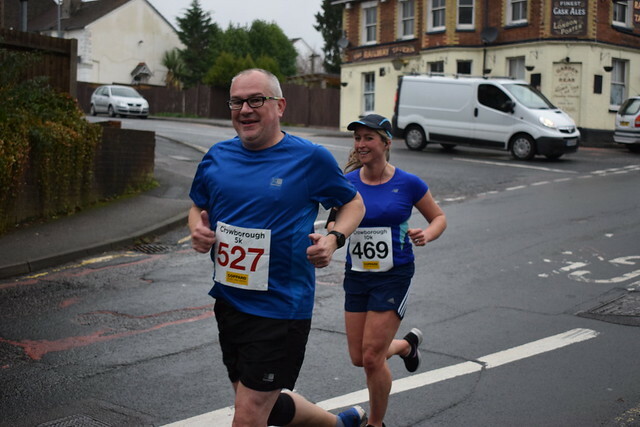 This was a race that Joe has competed in 3 times over the last few years and one which he knew would be a good challenge for regular runners. 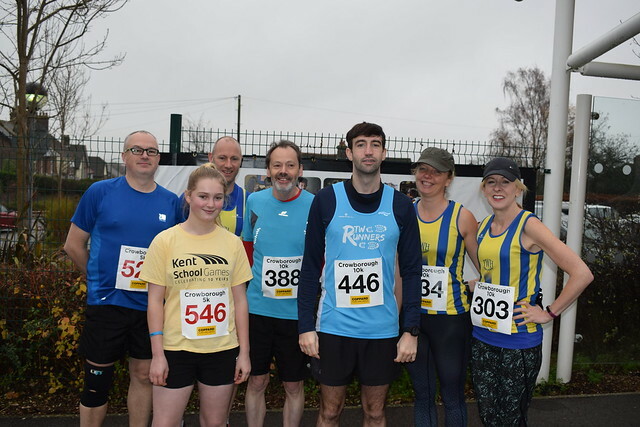 Competing in the 5k race (which is one lap of the 10k course) were mother and daughter Katia and Emily Bowley, whilst husband/father Charles was taking on what was in fact his first 10k race alongside Dom, Gemma, Rose and Richard. 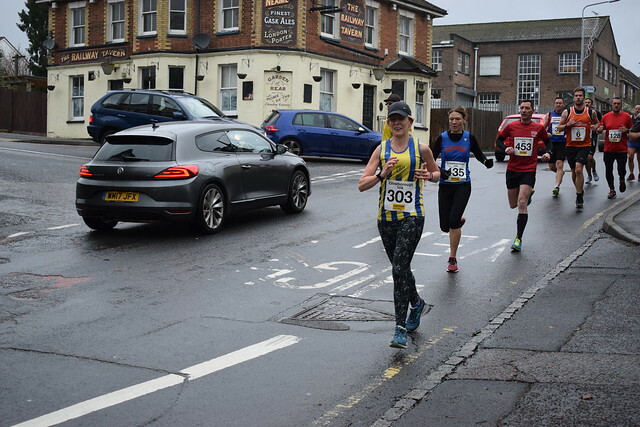 In addition to our RTW runners, there were plenty of familiar faces from local clubs (Tunbridge Wells Harriers, Wadhurst Runners & Crowborough runners) as well as from Royal Tunbridge Wells parkrun. 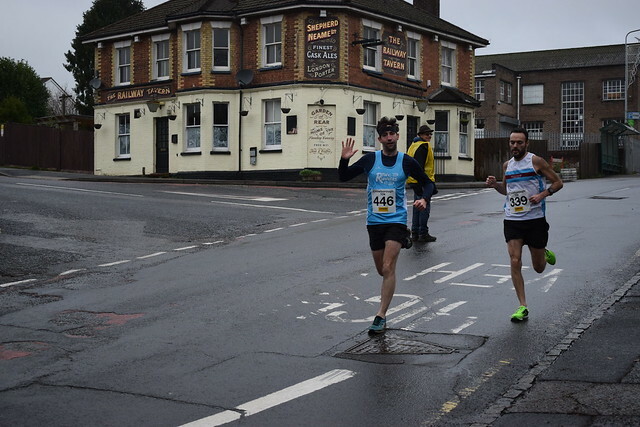 Joe positioned himself, camera in hand, toward the bottom of Crowborough hill where runners make their way through Jarvis Brook before taking a left turn on to Palesgate Lane. 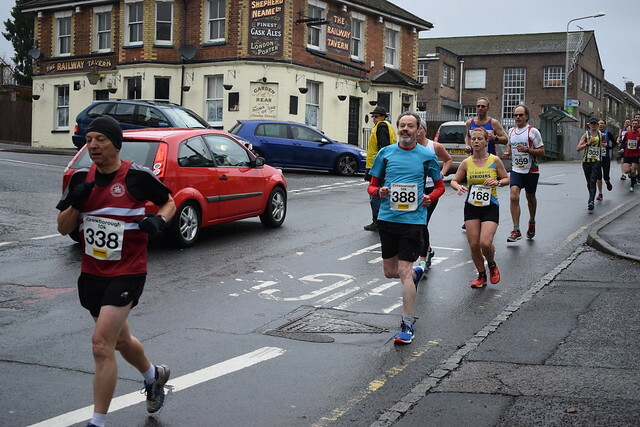 This is where the course presents two challenges to runners – firstly a ford and then a long and steady climb back up toward the start/finish which is located at Beacon Academy. 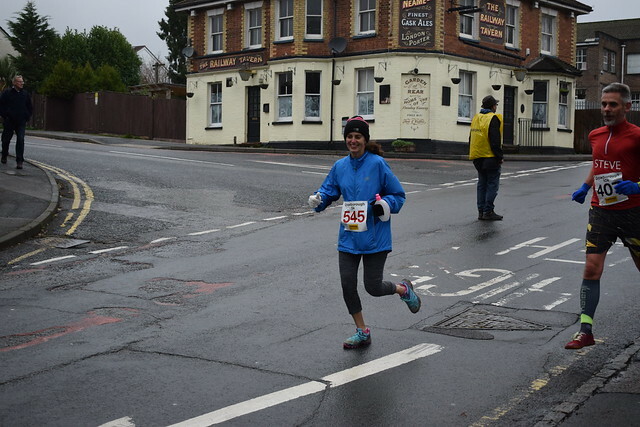 The concensus was that this was a very tough course, but enjoyable nonetheless! 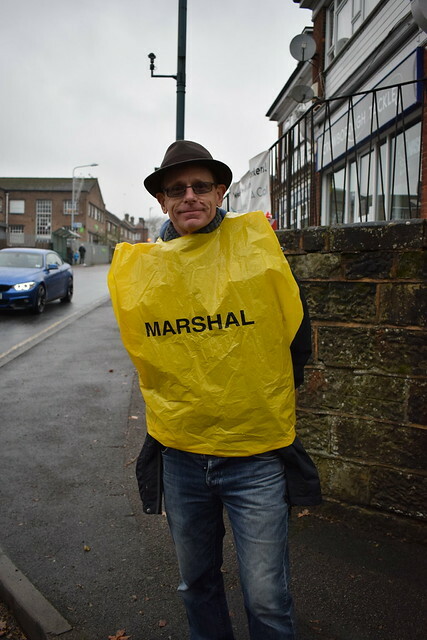 More photos from today can be found on our group Flickr page. 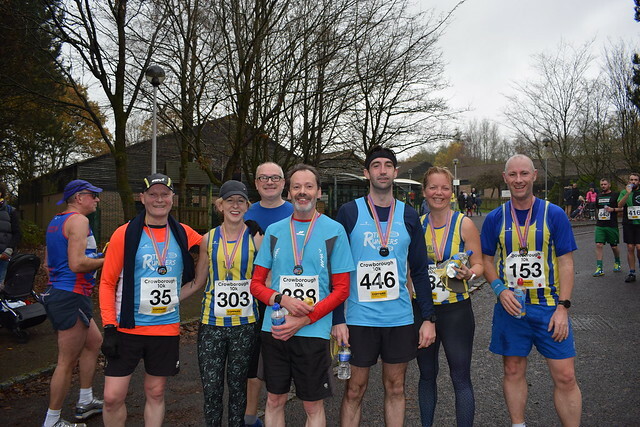 Well done to everyone who took part and we look forward to arranging another RTW runners trip to another local race in the New Year – suggestions welcome. 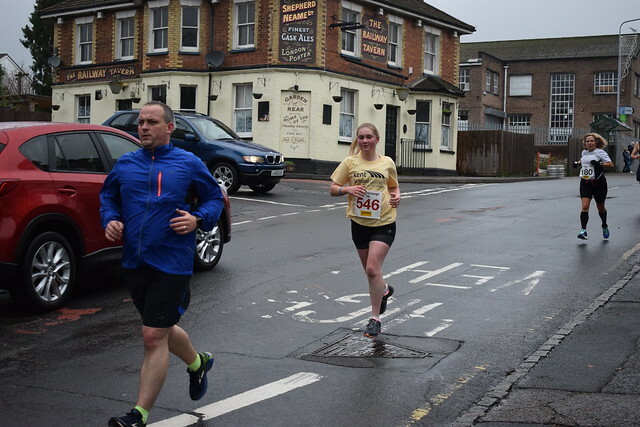 Thanks very much to everyone for today’s race, everyone at Brighton Phoenix enjoyed it. 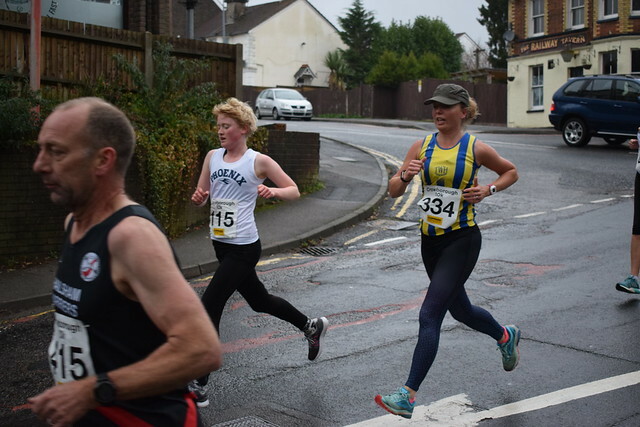 You have a shot of one of our athletes (Connie), would it be ok to use on our club website please? Yes, please feel free to use the image on your website but if you wouldn’t mind providing me with a credit for the photo that would be much appreciated.